OVER 85 per cent of our more than half-a-million readers make sure they see Euro Weekly News every week. And 66 per cent of the newspaper’s readers spend from 30 minutes up to an hour scouring through the various sections, from News to Adverts, Business to Columns, Health to Motoring, not forgetting of course Sport, Food, Business, the Classified and Service advertising sections, and much more. 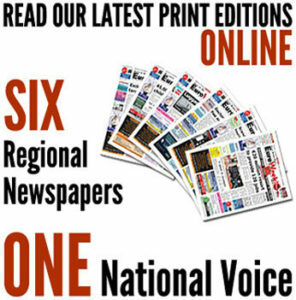 Based on the findings, successful year in 2011, despite the tough economic times, even more improvements are planned throughout the next 12 months to ensure that the EWN remains the newspaper that others – though not by their own choosing – have to follow! EWN readers know what they like and are also a loyal lot! For findings from our recent EWN survey spelled out that more than a quarter have been reading the newspaper for six years or more, and 53 per cent for between three and five years. Changes and improvements in the last two years coupled with the introduction of separate editions for the Costa Blanca North and South editions have also produced 15 per cent new readers, despite dwindling expatriate numbers in many areas. Additionally, 6 per cent of those who completed the survey did so even though they had only joined the ranks of regular EWN fans in the last 12 months.